Note: After subscriber vote, Ellen Bass and David Kirby were selected as co-winners of the Readers’ Choice Award. For more information and the full results, click here. 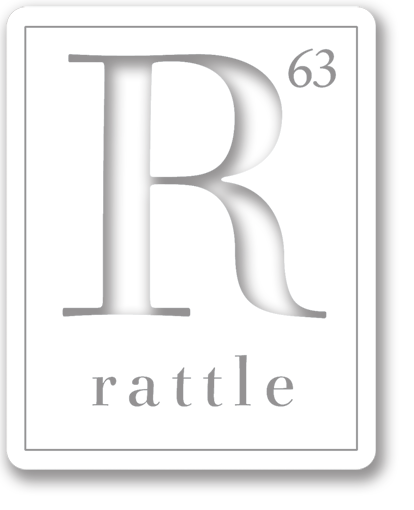 These eleven poems will be published in the Winter issue of Rattle this December. Each of the Finalists are also eligible for the $2,000 Readers’ Choice Award, to be selected by entrant and subscriber vote (the voting period is December 1, 2016 – February 15, 2017). Another six poems were selected for standard publication, and offered a space in the open section of a future issue. These poets will be notified individually about details, but they are: Lillian-Yvonne Bertram, Leila Chatti, Chera Hammons, Liv Lansdale, Christine Potter, and Wendy Videlock. Thank you to everyone who participated in the competition, which would not have been a success without your diverse and inspiring poems. We received a record 4,135 entries and well over 15,000 poems, and it was an honor to read each of them.